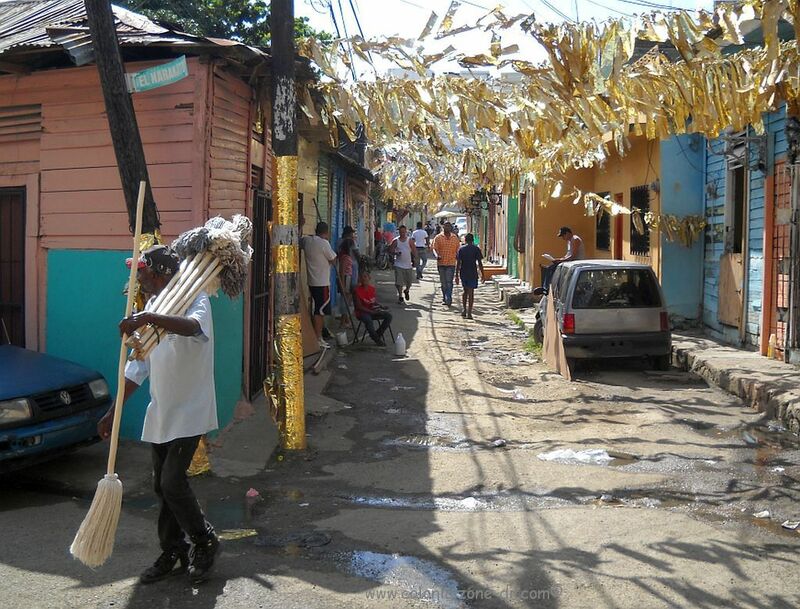 El Suapero Street Vendor is really important, because Dominicans cannot live without their suapes and they like to get new mops often. These salesmen walk the streets yelling out “Suape, suape!” They carry new mops flung over their shoulder. Some mops are white and others have colored fiber heads. Some are on smooth factory made handles and others are hand hewn using a stick. Sometimes you might see a suapero selling a few other household necessities as well but many are just satisfied selling their mops.